Published by: Hi-Tech Expressions, 1991 | Developed by: Software Creations Ltd. The World's Wildest Game of Cat and Mouse! CRASH! They're at it again- everybody's favorite cat and mouse team, Tom & Jerry! In this fast and frenetic adventure, Jerry's counting on you to help him find his nephew, Taffy before Tom can trap him in his razor- clawed clutches. It's a classic cartoon chase game filled with wild action, incredible excitement and silly surprises! 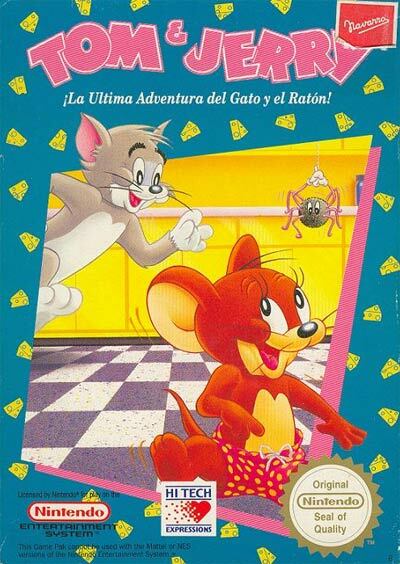 Based on the animated characters; search for Jerry's cousin Tuffie; 10 levels; slow Tom down with marbles; variety of power-ups.